It’s also interesting to consider the collective mindset which created our current economic paradigm. An industrial economy is based on an assumption of limitless resources which we intuitively understand as a false premise. It’s a difficult step to change legacy thinking from an old economic system, it first requires a mental shift. Amory Lovins argues the main barrier to change is in our heads and he may have a point. Why, if the prize of abundant energy, clean air, sustainable food systems is so compelling and the technologies to create them are available, is change so slow? There is no such thing as waste: design for life, not landfill. Build resilience through diversity: inter-connected systems are more resilient to unpredictability. Work towards using energy from renewable resources: green energy should ultimately power all production processes. Think in systems: understanding the influence of parts within a whole and their relationship to the whole, is crucial. How these principles are incorporated into business operations is a question of design. A case study often used to bring this to life is the cardboard to caviar project which started in Wakefield in 2003 and ran for 10 years. Based around the concept of a community fish farm it used worms grown on horse manure and cardboard as a feedstock. The worms were fed to Sturgeon fish which were grown for caviar for local restaurants which then donated their cardboard and food waste as food for the wormery. Design can also be ‘retro-fitted’. At the end of 2016 Glaswegian brewery Jaw Brew released a new beer made from surplus morning rolls. It identified what was seen as a ‘waste’ and created a new (and tasty) product. In Scotland, innovations like this are being pushed by Glasgow Chamber of Commerce as it aims to become a circular city. The World Economic Forum cites a global water crisis as the biggest threat to mankind over the next decade. The challenge for humans is to how manage our relationship with accessible potable water which accounts for approximately 0.007% of the total volume of water on the planet. It’s interesting to note that the developing world could leapfrog Western countries when it comes to the implementation of a water circular economy. For example, countries lacking a Victorian sewer system can relatively affordably upgrade to a 21st standard of plumbing. It is a much simpler prospect than re-purposing a legacy infrastructure of pipework in the UK which is designed to flush away a valuable resource (human waste). The Toilet Board Coalition calls this the business opportunity of the decade and there many examples of entrepreneurs on the African continent and in India enabling this change. 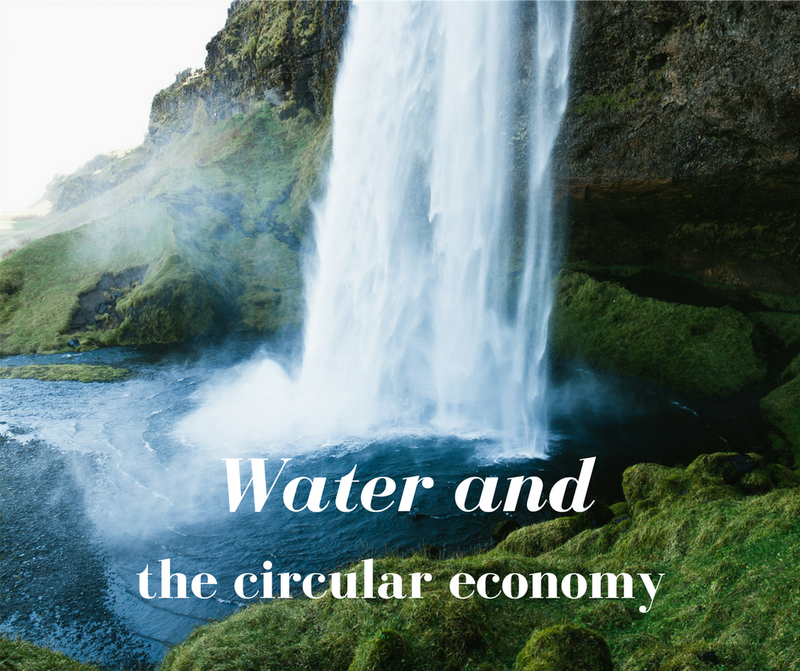 Under the umbrella of water and the circular economy the Circular Economy Leaders Summit is being held at Dynamic Earth on the 31st of May. Part of the Hydro Nations programme, the Institute of Water and FutureX are inviting established and emerging leaders from the sector to work out a common path together in the UK and Scotland. We’re inviting experts and leaders from the industry, like the Ellen MacArthur Foundation, as well as emerging new businesses and younger talent to establish mentoring partnerships. The day will give everyone the best chance to both learn from and contribute to what will be a collective gathering of the water industry and circular economy knowledge. There will be a trade space sponsored by Veolia and we are able to offer complimentary stall space for organisations doing relevant work in the UK or abroad. Anyone interested in taking a stand should contact me. Tickets are available from Eventbrite and there are also a limited number of student tickets with a 60% discount. Any students should contact me to receive a discount code.